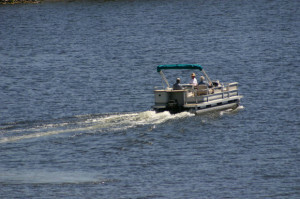 Injured in a boating, watercraft, or drowning accident? We’ll get you the compensation you deserve. Everyone loves being on the water in the summertime, whether it’s at the lake, in a boat, or in a swimming pool. However, serious injuries, even death, can sometimes occur, perhaps if a boat operator does not maintain the proper precautions, or if a swimming pool is not properly maintained or supervised where small children are concerned. Owners and operators of boats have an obligation to their passengers. It is their responsibility to maintain the safety of the boat, to ensure that there are an adequate number of flotation devices available, and it is also up to them to use caution at all times when operating the boat or watercraft, and to remain free of drugs and alcohol while doing so. If a passenger or passengers, or someone in the water, is injured due to the boat operator’s negligence, they will be held liable for injuries and damages suffered by the victims. If you or a loved one has been the victim of a boating or watercraft accident and would like to speak with an attorney regarding your situation, please contact us at your earliest convenience. We have achieved significant results for many of our prior clients in handling boating and watercraft accident cases. Here are some testimonials from some satisfied clients we have represented in the past. In the state of Georgia, boats and other watercraft are required by law to maintain insurance coverage similar to that on automobiles. What this means is that if you are involved in a serious accident on the water, you may be eligible to receive compensation to cover your resulting medical expenses, lost wages, both past and future, and other areas of loss. Many accidents on the water also result in drowning. Drownings are common in swimming pools as well as oceans and lakes. If on the ocean or at the lake, a common reason can be because the boat or other watercraft did not maintain the proper flotation devices as required by law in the event of an accident. If in a pool, it may be a young child who is in the pool area without supervision, or because the lifeguard on duty does not have the proper training. Drowning may also result from a diving accident, which many times causes spinal cord injury. According to the Atlanta Center for Disease Control, approximately ten people die from accidental drowning each day in the summer season. 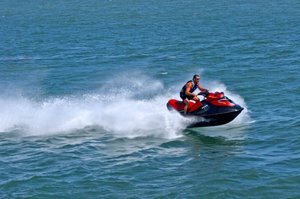 If you or someone you love has been injured by a boat, jet ski, or other watercraft due to the negligence of another and through no fault of your own, you may be eligible to receive compensation for your injuries. The Bennett Law Group has over 50 years of combined experience representing victims of boating and watercraft accidents. We will do everything within our power to ensure that you are sufficiently compensated for your injuries. Contact us online or give us a call at 404.541.9330 for a free initial consultation. We will sit down with you and discuss the specifics of your case. We look forward to your call.